Ashmeads Kernel - Apple Tree £12.75 - Dessert Apples - Late Season Apple Trees and Fruit Trees For Sale. Buy at competitive prices with wholesale discounts. 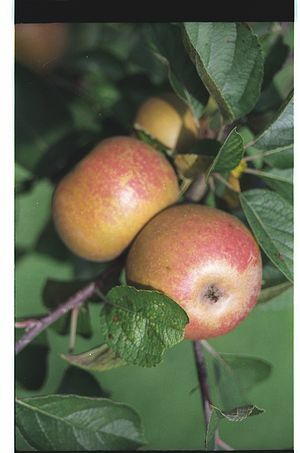 An old English dessert apple dating back to the 1700s, Ashmeads Kernel is arguably the best tasting traditional variety. Its flavour is complex with sweet pear drop and sharp citrus undertones. It is a firm apple with slight russetting, excellent for eating, juicing and cider making. It has good disease resistance making it great for organic growing and its attractive blossom makes a pretty display in the spring. This is one of our favourites!